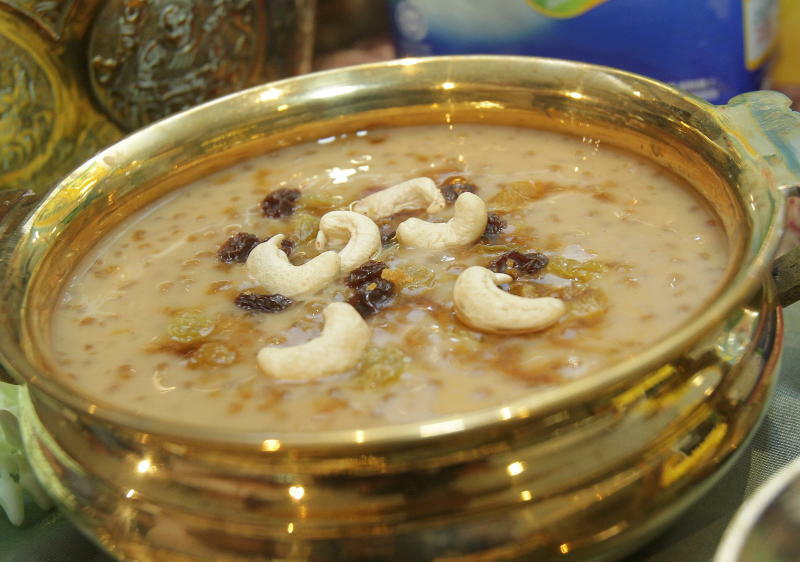 The addition of gula Melaka to this classic Indian dessert adds a lovely depth to its flavour. As it’s a rich dessert, don’t forget to have it in small portions. This recipe is courtesy of Fernleaf. Heat up ghee in cooking pan, add cashew nuts and raisins. Stir fry until the nuts and raisins are golden brown. Remove from heat and set aside. In a different pot, boil the sago in water until it is translucent. Mix milk powder, gula Melaka and cardamom powder into the pot of sago. Add saffron (optional) into the pot, stir and slowly boil until it thickens. Add in cashew nuts and raisins. Serve.